West Papua students demonstrating, and calling for urgent international help for Nduga. Over the past month, thousands of indigenous West Papuans have been displaced after fleeing air strikes, hiding in the highland jungle without food, water, or access to health-care or shelter. According to recent local reports a mother, and her child and three other children have died due to starvation. The Indonesian army has sealed off the area. Church and local government officials cannot access the area to investigate or help those displaced. No aid can get in. Without urgent action by international humanitarian aid and human rights organisations, more Papuan civilians will be at risk. 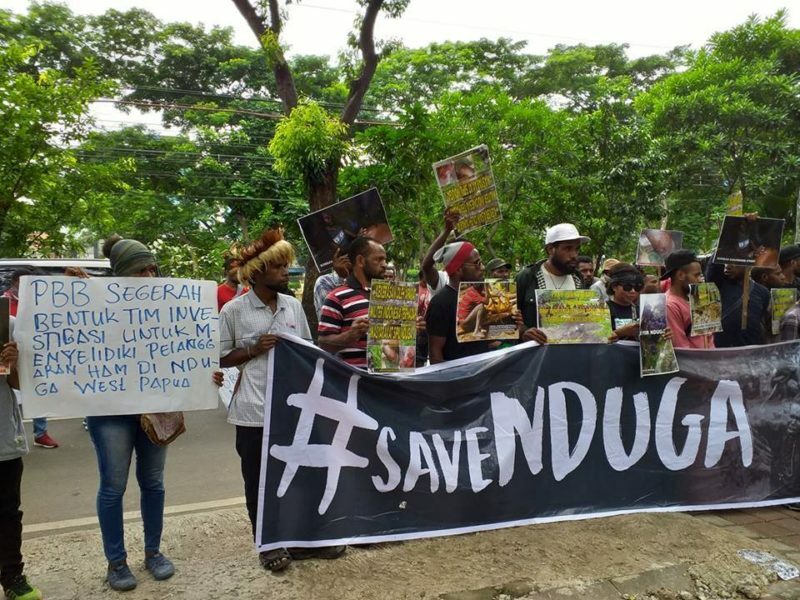 We are asking all friends of West Papua to help us urgently get medical treatment, food, medical support, and other resources to the displaced villagers, and allow us to document the events. Donating to the Free West Papua Campaign is the single most effective way of ensuring we can continue our vital work to help the people of Nduga and West Papua as a whole. Click here to donate now. We will update you on other ways to help as soon as we have more information.